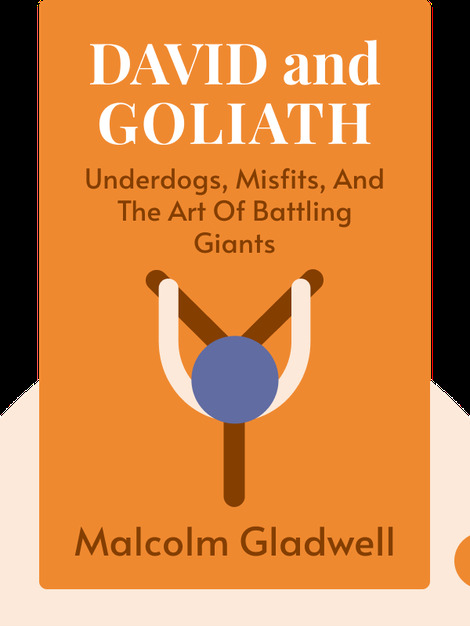 David and Goliath (2013) shares myriad stories of underdogs who won out against all the odds. Throwing out our traditional ideas of what it takes to be a success, it offers unconventional views on subjects such as the downsides to privilege, the benefits of learning difficulties, and how authorities should treat their citizens. These lessons are infused with academic studies, historical examples and detailed interviews with the underdogs themselves. 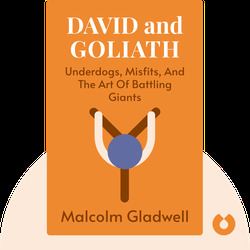 Malcolm Gladwell is a journalist and author whose work reveals counterintuitive insights of psychology and sociology. He interviews a diverse number of people, ranging from the unknown to the ubiquitous, and weaves these personal anecdotes into accessible journalism, best-selling non-fiction and motivational talks to businesses.